Ryan Lochte's apology tour is taking place simultaneously on two different TV channels in two different languages. His goal: To speak directly to the people of Brazil and the United States. NBC has been promoting an exclusive interview with Lochte that will be broadcast on Saturday night. An excerpt was shown on "NBC Nightly News." But it is only an American exclusive. Lochte also gave an interview to Globo, one of the biggest television networks in Brazil. "I just interviewed Ryan Lochte," Globo New York correspondent Felipe Santana tweeted Saturday afternoon. The interview will be shown on the network's version of the "Nightly News," called "National Journal." It will be translated into Portugese. Both interviews were taped in Manhattan on Saturday, according to Hiltzik Strategies, the firm run by Matthew Hiltzik, a well-known public relations executive who was retained by Lochte earlier this week. NBC interviewer Matt Lauer went first. It is rare to have a celebrity in the news give back to back interviews intended for two different audiences. The unusual public relations strategy makes sense because Lochte has a lot of explaining to do in both Brazil and the United States. 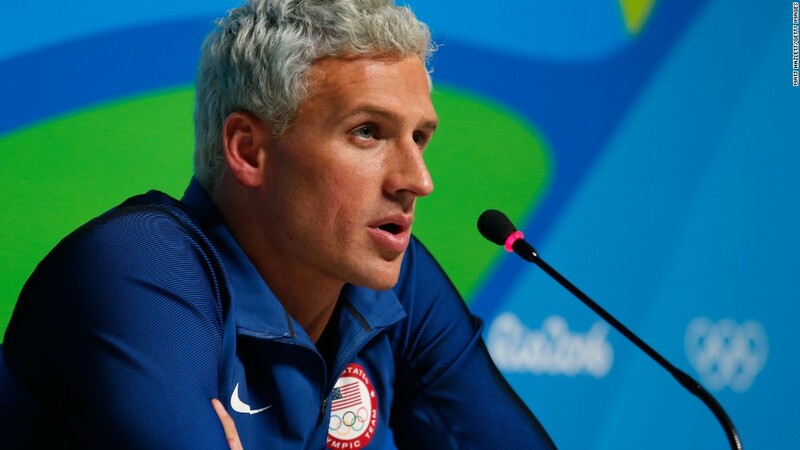 Lochte has repeatedly changed his story about an altercation at a gas station in Rio de Janeiro last Sunday. The International Olympic Committee is now setting up a disciplinary commission to investigate Lochte and the three U.S. swimmers he was with. Lochte told a sensational robbery story to NBC's Billy Bush; was contradicted by local authorities; then modified the story in a later interview with Matt Lauer. On Friday, he apologized in a statement. He said he should have been "more careful and candid" from the get-go. Many questions persist. There could be some big differences in Lauer and Santana's questioning styles. And Lochte's answers will surely be analyzed to see if they are consistent. In the excerpt shown on NBC, Lochte said "I over-exaggerated that story and if I had never done that we wouldn't be in this mess." NBC has come under scrutiny for its news coverage of Lochte's shifting stories. New York Times sports media columnist Richard Sandomir said Saturday that "Lochte's account needed more reporting before it entered NBC's news ecosystem."